Businesses must use every opportunity to engage with their audience. Blogging is one of the most effective ways to build thought leadership and provide valuable content to your target audience. Many businesses are using blogs as it is a cost effective and efficient way to publish content online. 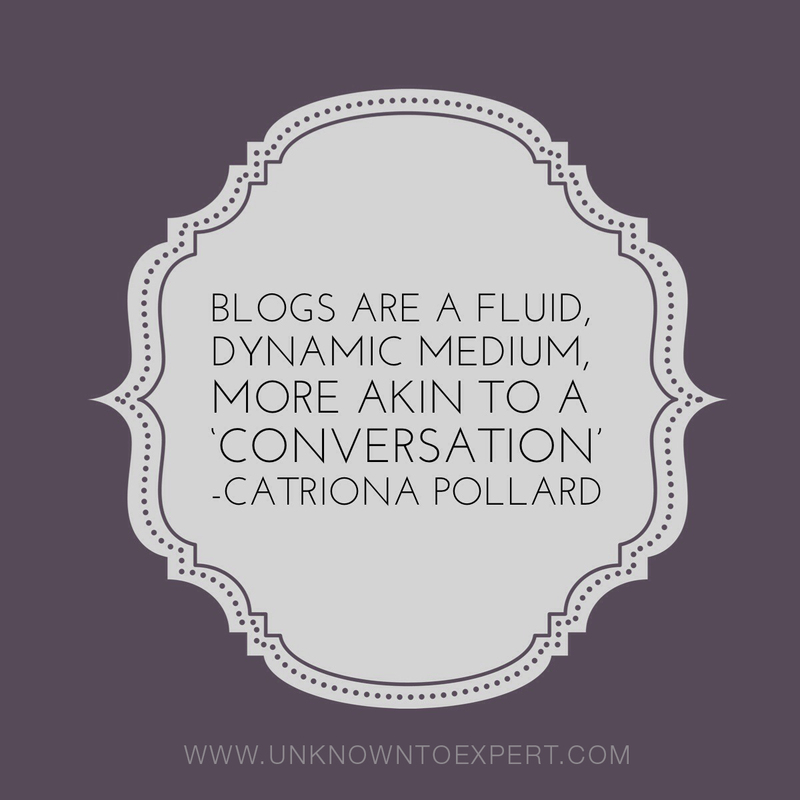 Using a blog can increase your online authority, build relationships with potential customers or clients and raise awareness of products and services. Blogs have a dedicated readership, which will mean that rather than reaching a large audience who may not be interested in your business, you will have a following of engaged and active readers. It is important to produce quality and interesting content in order to engage with your readers. So how do you go about creating content for a business blog? Start by researching your target audience and gauge what their interests are. You can then tailor your content to reflect these interests. Regardless of how you use your blog, be consistent. Regularly posting fresh content is important to attracting new readers. This can seem time consuming, however it will set you apart as an expert in your field and if your blog hasn't been updated in a long time, readers may lose interest. The key here is to think like a reporter. You need to make sure you're constantly on the lookout for newsworthy stories in your business as well as staying abreast of news items in the media that are related to your business. Announcing important company news to stakeholders, staff and customers. Advising customers and clients of changes to products and services. Establishing thought leadership through publishing original and cutting-edge content on a regular basis. Turning readers into viewers by publishing images and videos. Writing about the culture surrounding your products and services. Publishing deep, long-form content to showcase your expertise in your field. Blogging is a powerful communication tool that makes you a digital publisher who can craft the stories and narrative about your business and culture. Creating a blog for your business is a great way to communicate with your target audience in a different way. Include blogging in your PR strategy and discover the communication benefits today. 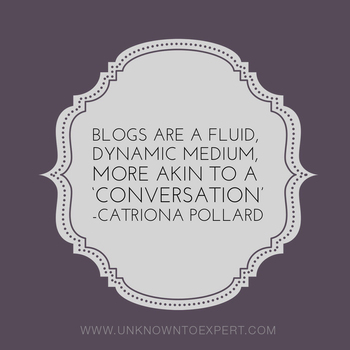 Catriona Pollard is the author of From Unknown To Expert, a step by step framework designed to help entrepreneurs develop effective PR and social media strategies to become recognised as thought leaders and influencers in their field. www.UnknownToExpert.com. Catriona is also the director of CP Communications, which merges traditional PR tactics with cutting-edge social media strategies that engage consumers as well as business.